Artificial Intelligence (AI) has ignited the public’s imagination since the term was first coined in 1955. Since then, we have been captivated by its promise, wary of its potential for abuse, and frustrated by its slow development. But like so many advanced technologies that were conceived before their time, AI has come to be widely misunderstood: co-opted by Hollywood, mischaracterised by the media, portrayed as everything from saviour to scourge of humanity. Those of us engaged in the development of information technologies and their application in the real world of business and society understand the enormous potential of intelligent systems – and let’s be clear, AI will impact jobs, professions, and industries. But I believe the future AI has very different characteristics from those generally attributed to the technology, spawning different kinds of scientific, and societal challenges and opportunities, with different requirements for governance, policy, and management. One of AI’s unique characteristics is its ability to learn and reason; as opposed to conforming to programmed instructions. This adaptability makes AI an excellent tool for processing the world’s deep data – data that is unstructured or hasn’t been collected or analysed. 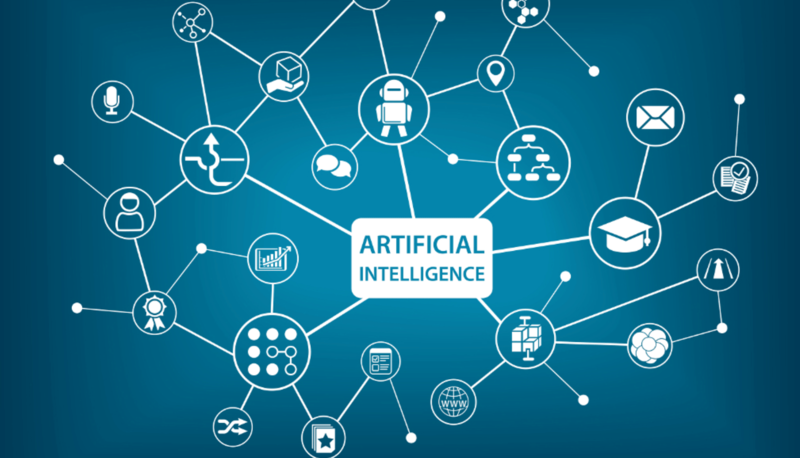 The result, AI enables anyone from start-ups to enterprises to keep pace with the volume, complexity, and unpredictability of information and systems in the modern world. For example, in sub-Saharan Africa, more than 60 per cent of farms are powered by people, with less than 20 per cent provided by engines, a model which is not sustainable as food demand increases due population growth, which is averaging 11 million per year. To address this, IBM scientists in Kenya are working with start-up Hello Tractor to develop credit scores for tractor fleet owners who are unbanked. By applying AI to data sources, including weather and Internet of Things data, we can forecast the size and value of a harvest before the first seed is planted. Banks and credit agencies can then use this to develop a credit score for a loan to buy more tractors and hire more labour. We are also working on improving the speed of cancer reporting in South Africa, which currently has a four-year delay. It is difficult and unreasonable to make future policy decisions with such old data. To address this challenge, we are applying deep learning and convolutional neural networks to automate the labeling of different cancer types from pathology reports. However, people need to feel confident they can trust the technology. Cancer registries hold vital data sets, kept tightly encrypted, containing demographic information, medical history, diagnostics and therapy; if a doctor or policy maker uses AI, it will be critical to explain to the patient or the public how the technology came to its conclusion. The silver thread in AI is collaborations and ecosystems. Without Hello Tractor or the National Cancer Registry in South Africa, we would have great technology, without any data. To address this challenge, we are currently speaking with institutions about a consortium where intellectual property is created and shared across all parties involved, and members gain early access to breakthrough technology. The programme would also include scholars-in-residence, whereby technical staff from member companies would have the opportunity to work alongside other partner scientists, including those at IBM. In addition, we would encourage BYoD or “Bring Your Own Data”, where partners could safely and securely share their data so that partner researchers can unleash the latest AI algorithms and data analytics techniques on it to reveal hidden insights. I believe AI is going to impact jobs, professions, and industries in every part of the world, and in particular the developing markets. A few weeks ago I was in Nigeria, and a farmer said that in his lifetime he will have around 55 harvests. If one season goes wrong, it could wipe him out. But if he can be more productive from year to year, it means more food on the table for his family. That’s the transformation that AI can provide with more accurate weather forecasting, access to credit and insurance, and better post-harvest yield and distribution. And that is why we need to shape AI so that it truly becomes an industry and society accelerator where all of us are benefactors. Solomon Assefa is the vice president, emerging market solutions and director, IBM Research – Africa. Follow him on Twitter @solo_assefa. This piece is based on a presentation he delivered during the Africa Business Media Innovators Forum.